TLDR: Here’s the easiest way to make screenshots for the App Store for iPhone 4, iPhone 5, iPhone 6 and iPhone 6+. When we first shipped the Merchbar iPhone app, we were way deep into shipping before we realized we needed demo screenshots for the App Store. I decided to roll with the punch and make it happen, but 97% of my hope was destroyed when I realized I was going to have to make 5 separate images in 4 different sizes. Maybe I could just make the larger size and that would work for all of them? Maybe I could make one version and just scale them down? No such luck (they have different aspect ratios). So I got out my coarse sandpaper and decided to grind through it. All was good until the last minute when I realized I had a typo and had to go update it on 4 different documents and then export each screenshot individually. I went to head to table over that one (not really). So when we did v2 of the app I put together a handy action to help you make iPhone App Store Screenshots and wrote about it. But this time I went back to the drawing board and did it right with Photoshops new Art Board feature. Now for your ease, pleasure and enjoyment tap here to check out the easiest way to make App Store Screenshots in all the sizes you need. Totally free. Totally fun. Totally free of that head on table thing. I found this essay from Grateful Dead lyricist and EFF Founder John Perry Barlow 15 or 20 years ago as I wandered around the loosely connected, barely organized morass of pages that was the internet of the mid 90s. Jeff Schox put me on to this amazing Saul Bass pitch detailing his proposed rebrand for The Bell System (now AT&T) in 1970. It is an amazing postcard from the pseudo-psycedellic era of business with far out visuals, ambitious goals and “unique” perspectives that seems suited to the wind-down of the hippie generation. The project itself is amazing too – at the time representing the largest rebrand ever. Not just a new logo, but a comprehensive review of the company’s identity – both through iconography, color-play and even functional redesign of products, apparel and other ways employees and customers interact with the brand. In the end the rebrand would update 135,000 Bell System vehicles, 22,000 buildings, 1,250,000 phone booths and 170,000,000 telephone directories. We can break-through and at the same time help unclutter the visual environment. Quietly. With a look of excellence. beginning with a trademark. There are three basic categories of trademark: monochromatic form, logo type form, and the symbol logo type form. Each has its strengths and weaknesses. Monochromatic form’s strength is that it’s simple, concise, quickly identified. Its weakness is that the viewer must first be taught what the letters stand for before they make sense, otherwise it blends into the environment as so much alphabet soup. The strength of the second category, the logo type form, is that the name of the company is itself trademark. But it has a weakness; lettering that is easy to read gets lost in the typographic environment. Try to make it stand out by stylizing it and you lose legibility. To help solve this dilemma some companies surround their logo types with a geometric shape, but shapes being generic can never be unique. The symbol creates the uniqueness of the mark so the lettering in the logo type can remain clear an easy to read. With an organization like ours, composed of many companies, the symbol becomes a flag, uniting the company’s into a single organization. By itself logo type is just another word in a sea of words, but combined the symbol serves as a focal point directing attention to the name. This form of trademark as its weaknesses too, such as requiring the use of two elements; the symbol and the logo type. All in all, it’s right for the Bell System. Follow me on Twitter at @Aten. Interested in building a great consumer brand? Join us at Merchbar. Sat down with my friend Scott Orn of Kruze Consulting a couple of weeks ago to help kick off his new podcast “The 1 California“. Had a great time talking about the new Pearl Jam merch we have in stock, what Apple looks for when featuring apps and building businesses in the music industry. We had a great time and hope you learn something. Hit me on Twitter at @Aten if you liked it, have a question or have feedback. Update: Just today Merchbar was featured again. This time in the Back To School section of the App Store. Wahoo! For years I’ve joked with friends that, statistically speaking, getting into an Uber is the most dangerous thing I do. I haven’t run the numbers on each of my activities but it seems pretty likely – cars are terrifically dangerous (nearly 100 people die each day in traffic accidents) and probably 95% of all the trips I take are in via Uber. That’s why when my friend Carolyn told me it was her New Years resolution to buckle up in Uber’s I instantly adopted it as mine. Life is too short and it’s just too damn easy. Not that I was bad at buckling up but for short trips across town, or just driving around on city streets, it was easy to forget. Last night made me glad I adopted the resolution. About 9:30 my girlfriend and I crossed Market street in San Francisco in the back seat of an Uber. Unfortunately while our light was very very green, the car coming across on Market street apparently didn’t see the red light and came across traffic at full speed. He hit the car to our left, which was thrown into our car. We were tossed sideways, and though I’m not exactly sure what happened there was a pretty good vertical component as well. It was fast. It was scary. Everyone was ok, but it was definitely way off the “fender bender” chart. Once we checked everyone was ok and started gathering our wits we started to get out of the car and tried to find my girlfriend’s purse. We looked and looked but couldn’t find it. It has been on her wrist during the accident, where could it have gone? Turns out the impact had pulled it off her wrist and thrown it into the front seat. That could have been us if we weren’t bucked up. Thankfully everyone was ok, but it is a great reminder: even on city streets traffic moves fast enough that it can really hurt you. Be safe. Buckle up. I will. But like the iPhone, the Apple Watch is exactly what the first generation of the iPhone was for many of us: our first peek into the form of a device nearly every human on earth will own. Apple Watch is the spark that will light the fire of thousands of product designers that over the next few years will move this device from a status item to a must-own for nearly every one – and I’ll give you three reasons why. But first a disclaimer: When Jony Ive said it was “the most personal device they’ve ever created” he wasn’t kidding. Apple Watch is personal in a very different way than the iPhone is. I remember walking into an Apple Store for the first time, tapping Safari and browsing NYTimes.com for the first time: an experience that wasn’t just breathtaking for me, but one that changed the internet for billions of people around the world. This is a different type of personal than what I am describing. 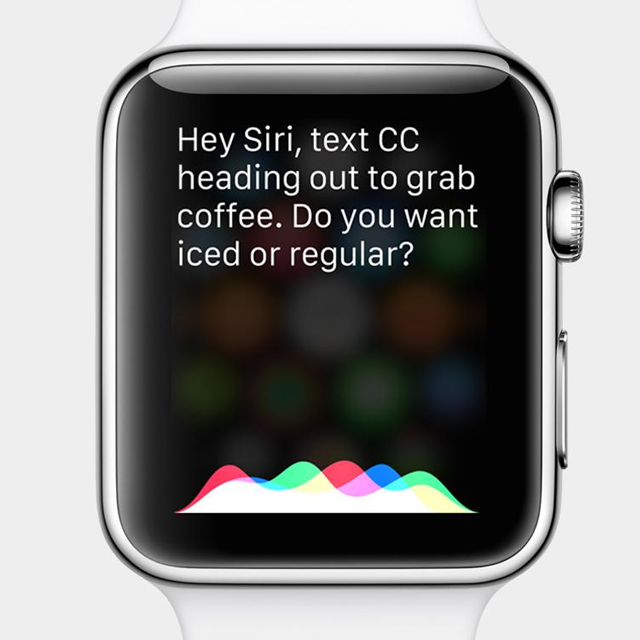 That isn’t going to happen with the Apple Watch. None of the potentially life changing use-cases I’ve found can happen on a demo unit in an Apple Store. None happen immediately out of the box. None can be truly understood but placing your friend’s watch on your wrist for 10 minutes. Going into a store and swiping around on the tiny screen isn’t going to show you the possibilities of this device and it won’t show you its nearly universal appeal – not because it isn’t appealing but because unlike the phone, the Apple Watch needs to know YOU. Unlike, desktop computers that are shared by several (in a home) if not hundreds (in a library) Phones aren’t shared at all. This minor point becomes a massive benefit and enabled entirely new ways to experience technology. “Logged In” almost isn’t even a term anymore. If you are on the phone it is you. So we first created passcodes. Then swipeythingers (I don’t get it android people). Then TouchID. Apple Watch completely and totally explodes this paradigm because unlike a phone that is supposed to live in your pocket or purse, Apple Watch is attached to your actual body. Put on your Apple Watch, enter your passcode and thats it. 16 hours later your watch knows you are you. You never put in your password again. Sensors in the back of the watch ensure it hasn’t been removed from your wrist and instantly your credit cards aren’t a pocket-removal, wallet thumbing and swipe away. Or a pocket removal and passcode away. Or a pocket removal and a thumbprint away. 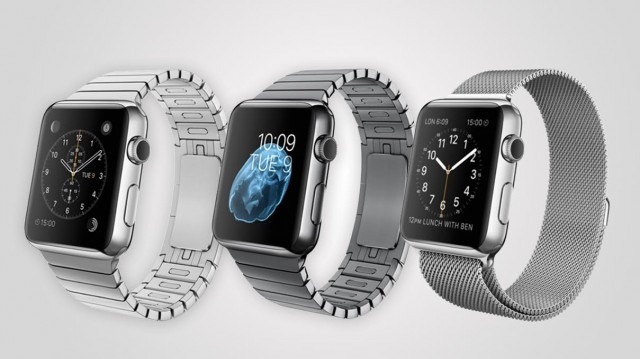 They are instantly, already on your wrist. Imagine every real-life authentication we do: bus passes, boarding passes, keys to our homes, badges at work, picking up prescriptions, buying things, firing up your car, signing for deliveries, maybe even grabbing merchandise on your way out of a concert. Apple Watch will open the world drastically and beautifully faster than keys, signatures and swipes. A quick reminder: iPhone v1 had an EDGE connection. A low res screen. No copy and paste. These were very common complaints/objections when the product was released and they were legitimate. They were also rectified. 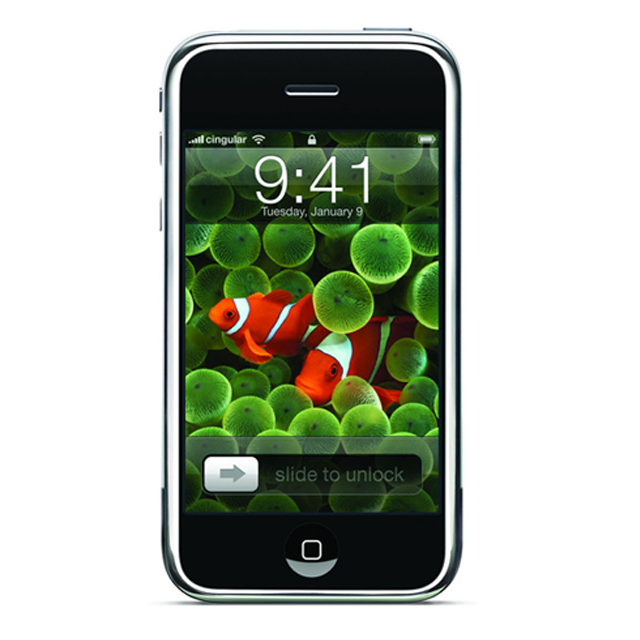 Product designers looked at the original iPhone as an infinitely malleable slice of glass connected to the internet. Other challenges would be addressed – and they were. The same is true of Apple Watch and the main complaint I hear from athletes today is legitimate – Apple Watch requires a phone. But over time this will be addressed, and when it is either rectified or a non-paired mode is created it will change sports. Phones are too heavy, wide and rigid to make it to the field, a problem that a watch doesn’t have. The Apple Watch will open up ESPN level stats to every enthusiast of every sport in the world. Every score of every game will be stored on the watch – not just because it is great to have the stats, but it is easier to keep score on two watches than repeating it out loud or arguing between each point. Every split time of every sprint in every practice will be saved and available for analysis. Imagine Strava, but for every sport. For every game. For every practice. That is the future Apple Watch will bring. I know you hate Siri. But every time you hate on Siri I think of something else that was hated: the “convergence device”. For nearly 20 years the tech world was swinging and missing on the idea that… wait for it… your calendar and address book and phone could be “All-In-One”. Some attempts at bringing the above together few hundred thousand units, but nothing was even close to being a zeitgeist for so long the press wondered if those of use enamored with the idea were wrong about the category. Clearly we weren’t – We just hadn’t found our device yet. Maybe I’m calling it too early. Maybe in 5 years we will still be waiting for an amazing voice-based assistant, but there’s a major difference between Siri on iPhone and Siri on Apple Watch: you will want to (and likely try to) use Siri every single day on your Apple Watch. She is inescapable because typing is impossible. So instead of trying a few things and giving up and going back to your previous world of typing, Siri will tempt your questions, requests, orders and dictation daily. AND she will get better at answering them. Sunset with your new best friend. And Siri is always ready to hear your requests. No need to remove your phone from your pocket or purse. No need to hold down a button to call her attention. Just lift your wrist and speak. The opportunity is so much larger than questions and answers, imagine speaking to every app you have today to command it’s use. Imagine new voice only apps. This is a massive opportunity for Apple to instantly establish new standards for how apps communicate with voice-based requests and commands. I expect Apple to be opening up a completely new type of API for Siri (and if they aren’t, they should call me) to bring new types of integrations into the world. If you care about creating the future – absolutely. Follow me on Twitter @aten. 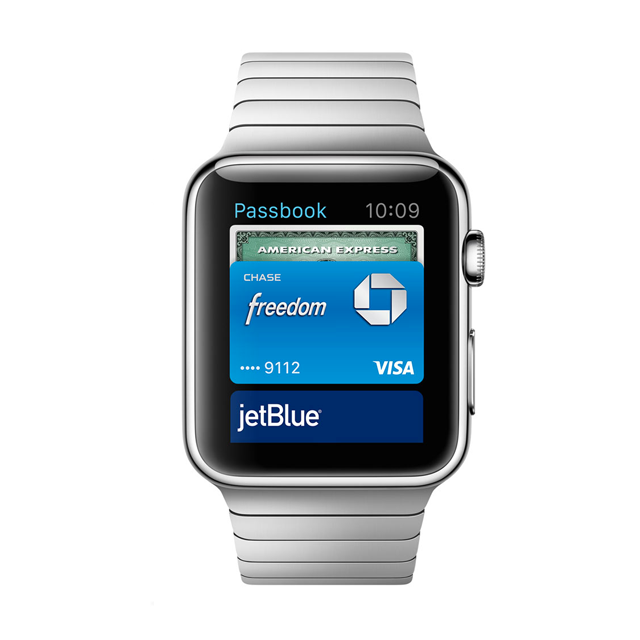 1 – I’d expect Apple Pay and Passbook to merge into a single identity authentication app/protocol. Some things would involve payment, others wouldn’t. 2 – I hope to write a blog post about what a great Siri API would look like.